Find a Johnny Cash Tribute Act for hire near you in minutes! Option 1. Enter your event location below & contact a Johnny Cash Tribute Act directly! Option 2. Request multiple quotes from available Johnny Cash Tribute Acts Get Quotes! Option 3. Read information & advice on hiring Johnny Cash Tribute Acts Read Advice! 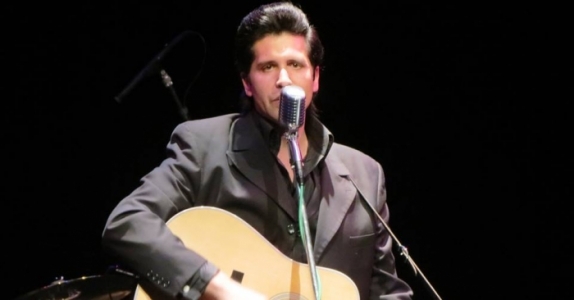 WANT TO KNOW MORE ABOUT Johnny Cash TRIBUTE Acts? Read on for the most comprehensive guide to booking a Johnny Cash Tribute Act, including how much a Johnny Cash Tribute Act costs, exactly what they will do at your event, plus tips, advice and information to help make your event one to remember! What exactly will a Johnny Cash TRIBUTE ACT do at your event? Johnny Cash was one of the most successful musicians of the last century and had a staggering career that saw him become not only one of the most popular Country artists of all time, but also one of the most well respected chart musicians ever! Ever since being signed to Sun Records in 1954, Johnny Cash has been pushing the boundaries of Country and Blues music all the while brining it to the masses. The hits of Johnny Cash include songs classics such as ‘Folsom Prison Blues’, ‘Ring of Fire’ and the world smash ‘I Walk the Line’, all of which walk the tightrope between Country, Rock and Blues! A Johnny Cash Tribute Act will dress all in black just as the real Johnny nearly always did! You’ll more than likely find that the Johnny Cash Tribute Act will most likely be sporting black boots, black jeans, a black shirt and a black hat, cutting a rather striking figure! Some Johnny Cash impersonators will come in the form of a solo act, strumming an acoustic guitar and singing in that signature Johnny Cash earthy drawl. Other Johnny Cash Tribute Acts will come with a full backing band, fronting a professional group of musicians who will play the best of Johnny Cash’s impressive back catalogue of Country tinged songs! The Johnny Cash Tribute Act will consider material from all of Johnny Cash’s albums, which will include ‘American Recordings’, ‘With his hot and Blue Guitar’ and ‘Hello, I’m Johnny Cash’. It’s a given that Johnny Cash appeals to the youth of the 1950s,1960s and 1970s but due to Cash’s later run of contemporary Rock covers, he also has great appeal to younger generations. With his blistering covers of Soundgarden’s ‘Rusty Cage’ and the Nine Inch Nails classic ‘Hurt’, Johnny’s dark Country sound was introduced to a younger audience! So, if you hire a Johnny Cash Tribute Act, you will be getting a singer paying tribute to an artist that everybody will know and love! 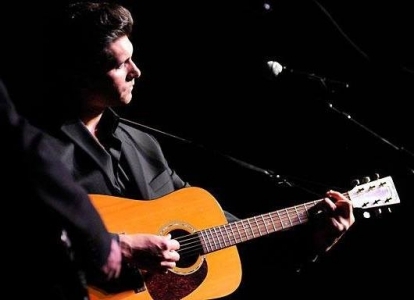 Mainly, an Johnny Cash Tribute Act will entertain your audience with a fantastic live show that will put the wow factor into celebrations and impress your guests, whatever their entertainment tastes may be. What event types are Johnny Cash Tribute Acts hired for? Pick a Johnny Cash Covers Act for your wedding ceremony and you’ll instantly be giving your nuptials a very cool twist! Johnny Cash’s talent for songwriting meant that he didn’t just stick to one genre of music and he didn’t keep to the same old lyrical themes. If you are thinking of booking a Johnny Cash Tribute for your wedding ceremony, then you may want to request songs such as ‘Darlin’ Companion’, ‘You and Tennessee’, or the fabulous ‘Rose of my Heart’ as the bride is walking down the aisle. You may want to request the Johnny Cash Tribute plays a celebratory hit such as ‘Ring of Fire’ as soon as the happy couple have been announced as man and wife! Every Johnny Cash fan will know that his marriage to June Carter Cash was one of the most strongest marriages in the history of music, and the couple were extremely devoted to each-other. Therefore, hiring a Johnny Cash Tribute Act to play romantic songs at your wedding ceremony will ultimately be reminiscent of Johnny and June’s timeless love for each other. A Johnny Cash impersonator will be perfect for playing a wedding drinks reception as they will be able to perform stripped down versions of some of the biggest hits in Country music! The Johnny Cash Tribute Act can perform at your wedding drinks reception as a solo act and will dazzle with just vocals and a guitar strapped around him! As the wedding guests relax and catch up on chitchat, the Johnny Cash soundalike will play the ideal form of background music to soundtrack all that wedding schmoozing! You can expect sparkling versions of Johnny Cash’s biggest hits which may include; ‘When the Man Comes Around’, ‘Folsom Prison Blues’, and ‘A Boy Named Sue!’. The wedding breakfast is that special time of day when the newlyweds sit down with their wedding guests and after some refreshments, begin the wedding speeches. Why not book a Johnny Cash Tribute Act to run through some of the ‘Man in Black’s’ biggest tunes and get everybody in the mood for the wedding breakfast proceedings?! The Johnny Cash Tribute Act can be set up to perform as the wedding guests are entering the wedding breakfast venue! For this occasion, we would suggest Johnny Cash songs such as; ‘On the Road Again’, ‘I’ve Been Everywhere’ and the brilliant cover of ‘Personal Jesus!’. Search our directory for the best Johnny Cash Tribute Acts in your area and you will find a whole host of talented singers who will also play the guitar, strumming their way through the best of Johnny Cash! The wedding evening reception is that special time of the wedding day when everybody really starts to celebrate! You will be able to find full band Johnny Cash Tribute Acts as well as solo Johnny Cash Tribute Acts but we would personally suggest hiring a full band for the wedding evening reception to really bring that great live atmosphere and to provide everyone with some of the finest Country and Blues music to dance to! You can use our personal messaging service prior to the wedding to contact a Johnny Cash Tribute Act and request for him to play your favourite Johnny Cash numbers! For the wedding evening reception, we would suggest to play hits such as ‘Ring of Fire’, ‘I walk the Line’, ‘God’s Gonna Cut You Down’ and ‘Cocaine Blues!’. The great thing about Johnny’s music is its versatility and because of this, you can request that the band play a slow and romantic song for the all important first wedding dance! For this, we would suggest something like ‘You are my Sunshine’. No matter what age your guests are, everybody will love the sounds of Country and Blues at your wedding evening reception! If you’re searching for the best entertainment for your work party, then you can’t go wrong when you book a Johnny Cash Tribute Act! The Johnny Cash Tribute Act will enthral your guests with a setlist sprinkled with that Johnny Cash magic! You can expect to hear songs such as ‘Ghost Riders in the Sky’, ‘Daddy Sang Bass’ and ‘It ain’t me Babe!’. A Johnny Cash impersonator will be experienced in how to work the crowd, creating sing-along moments and encouraging the audience to dance and clap along! Due to the hugely popular 2005 Johnny Cash biopic ‘Walk the Line’, the music of Johnny Cash has been reintroduced to a whole new age group, meaning that co-workers of all ages will appreciate the live versions of Johnny Cash songs! 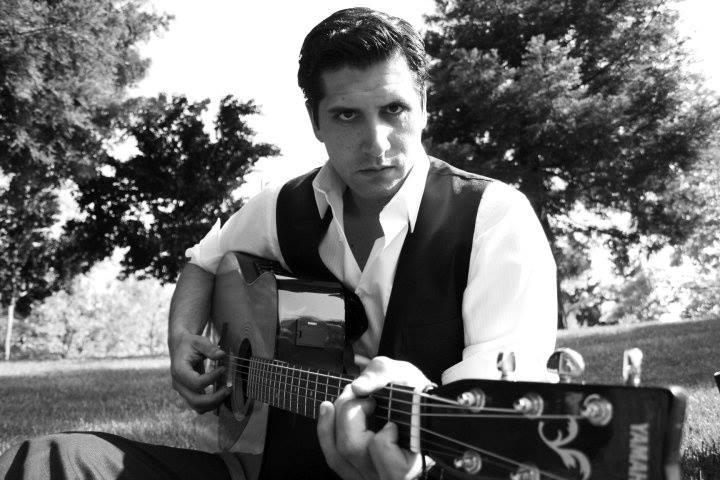 A Johnny Cash soundalike will be ideal for a trade show or a product launch, where they will play dazzling versions of Johnny’s best selling tunes which will undoubtedly entice new clients to find out all about your product! If you’re thinking of throwing a themed party such as a Country and Western party, then you may want to hire a Johnny Cash Tribute Act to provide the live music! Johnny Cash left a legacy and a staggering back catalogue of which you can request songs to be played from using our personal messaging service! The tribute to Johnny Cash will get everybody in the mood to party by playing some of the best Country and Blues music ever! Johnny is one of the greatest American music icons ever so they will be an ideal form of entertainment if you are throwing an American themed party! How much do Johnny Cash tribute Acts cost to hire? Our simple to use entertainment directory allows you to firstly search for the best Johnny Cash Tribute Acts who are local (or travel to your area) and then via the contact form you may message them directly to enquire for a no obligation quote to perform at your event. Some acts will also add a rough price guide to their profile for your convenience. What are the usual set formats and performance lengthS for Johnny Cash tribute Acts? An Johnny Cash Tribute Band can tailor their performance times to suit you and your event, however, on average, a professional Johnny Cash Tribute Act will perform for two 45 minutes sets. How much space will a Johnny Cash tribute ACT need at your event? What equipment and set up requirements do Johnny Cash tribute Acts need? As with most artists who sign up to Entertainersworldwide.com, a Johnny Cash Tribute Act will provide all of their own equipment. You may want to enquire if the artist needs a PA to amplify their sound, in which case we would advise to use our easy to use messaging service to find out. We do ask that each performer gets a backstage area in which they can prepare for the performance ahead. If your venue does not have a backstage area, then we kindly ask that you enquire with the venue to seek an alternative space in which the performer can comfortably get ready to entertain. How can you find and book a Johnny Cash tribute ACT with Entertainersworldwide.com? WANT TO RECEIVE A RANGE OF QUOTES FROM Johnny Cash Tribute Acts?